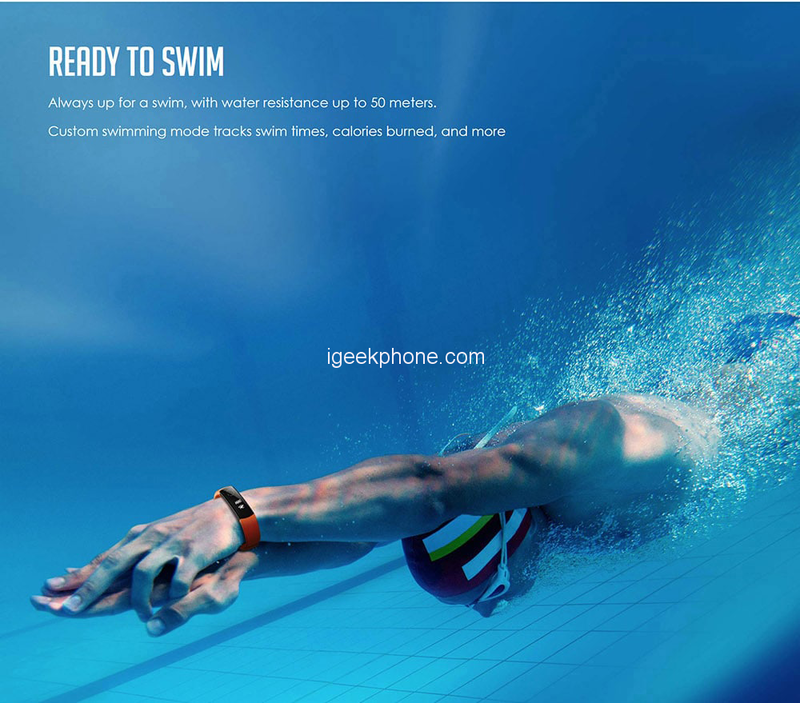 The HUAWEI Honor Band 3 smart bracelet is a device that makes you live healthier and in a more intelligent lifestyle. It helps to monitor basic physical indicators like sleep quality that you can know your body condition better. It tracks steps and shows you how you’re stacking up against your daily goals. Besides, you can share your data on Facebook and Twitter, which may encourage you and your friends to do exercise and raise interest in sports. The wrist straps are made of TPU with high strength, hypoallergenic, high toughness, wear-resistant features, and snap design that doesn’t allow it to fall off when moving actively. Its surface uses a diamond prism texture. 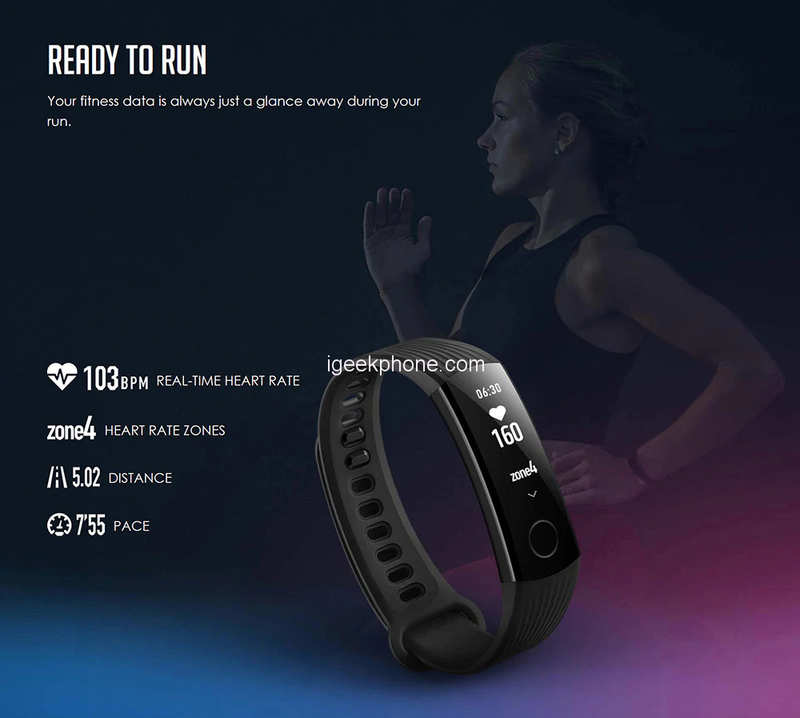 The back of the bracelet uses the much-popular photoelectric heart rate sensor. There is nothing to praise for because this technology can be found on every fitness trackers and smartwatch available on the market. 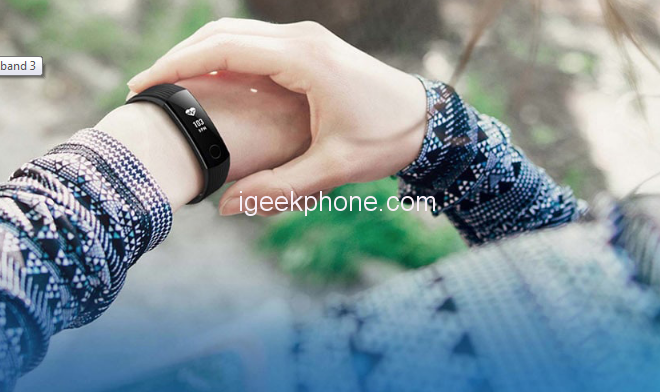 This smart band also comes with a 5ATM rating. Therefore, it’s both waterproof and dustproof. As we wear smart bands all the time regardless of our actions, there should be several variants of traps to befit our outfit. Fortunately, Huawei didn’t miss this and made three color options to choose from – standard version, two-color version, and NFC version. The smart band sport a 0.91-inch PMOLED screen. This screen also supports multi-touch, which is rare in must smart bands. Due to this type of screen, you can zoom in/out to adjust the displayed information according to your needs. One of the selling points of this device is the PMOLED screen. Those who are not familiar with this term, PMOLED stands for Passive Matrix OLED. Thesmartband can be connected to the phone using the Huawei Wear APP which can be downloaded from Playstore. It is compactable with Android 4.4 or above and iOS 8.0 or above It shows the caller information when the synced phone is calling. It also allows users to answer or decline the call. 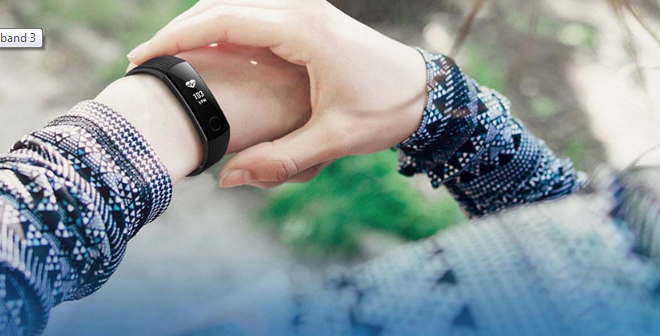 The data collected by this smart band is stored and displayed on the Huawei Wear app. So you have to sync it with your phone by activating Bluetooth on it and looking for the bracelet. The main screen displays some information concerning the Bluetooth connectivity, remaining power, time, pedometer data, and the date. There is a built-in 100mAh battery with a standby time of 45days. There are many smart bands with larger capacity batteries. But we know it’s a matter of optimization rather than capacity size. Especially, this refers to the screen, as it ‘eats’ power the most. Like other smart bands, the device is a Perfect Personal Health Tracker: heart rate monitor, pedometer, and sleeping monitors. 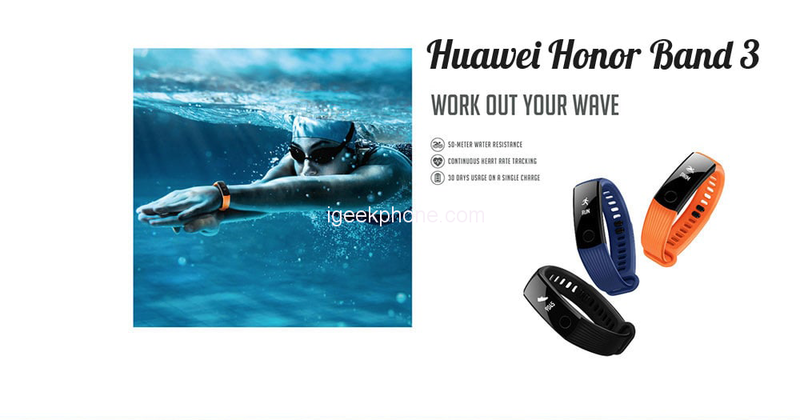 The Huawei Honor Band 3 Smart Bracelet can be purchased from Geekbuying for just $24.95 if you apply the Coupon Code: HNB313D. Do not miss this great offer, as the smart band is worth more than the current asking price.